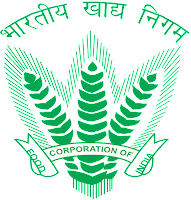 Applications are invited from graduate degree holders for FCI Recruitment Notification to fill up post of Assistant Grade 3. For more info regarding Food Corporation of India Recruitment Notification such as eligibility, dates, how to apply and other please read full page carefully. Post Name – Assistant Grade 3. Educational Qualification – Graduation degree pass. Age Limit – 18 – 27 years. Salary ->> Rs. 9300 to 22940/- Per Month. Selection Process - Short List and Interview. Job Location - Kolkata (West Bengal). Postal Address ->> The Secretary ( Zonal Sports Promotion Committee), Food Corporation of India, Zonal Office (East), 10A, Middleton Row, Kolkata-700071.